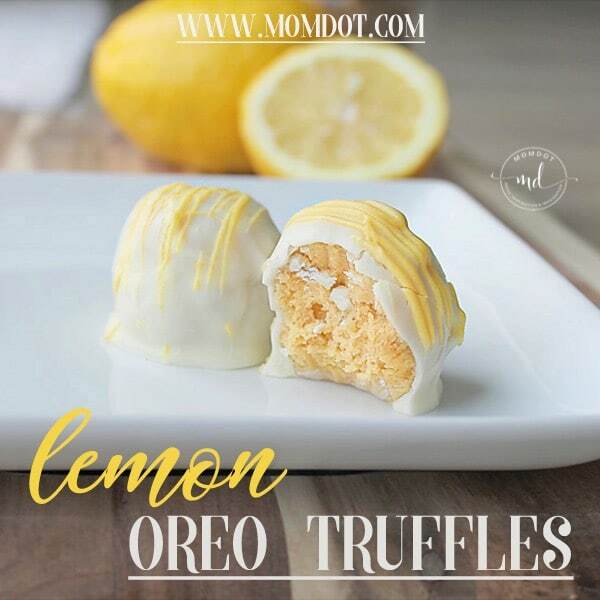 Lemon Oreo Truffles: How to Make This Delicious Dessert! 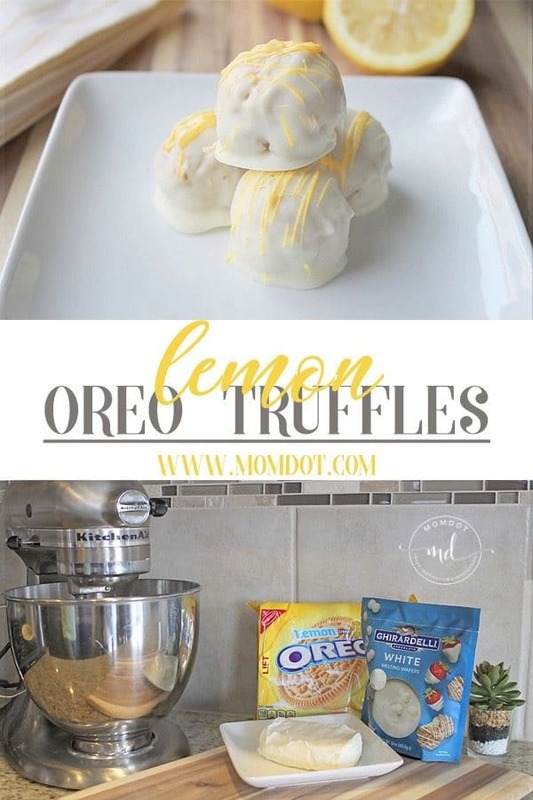 Home » Recipes » Lemon Oreo Truffles: Delicious and Easy to Make! 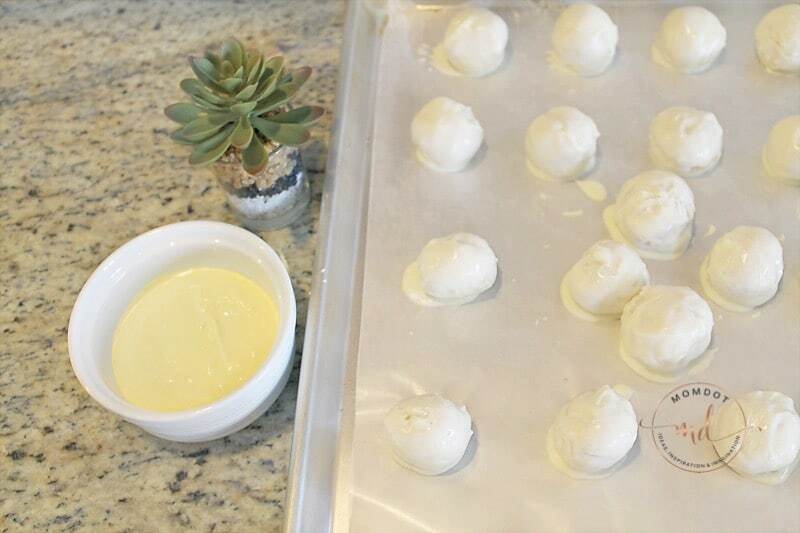 Lemon Oreo Truffles: Delicious and Easy to Make! 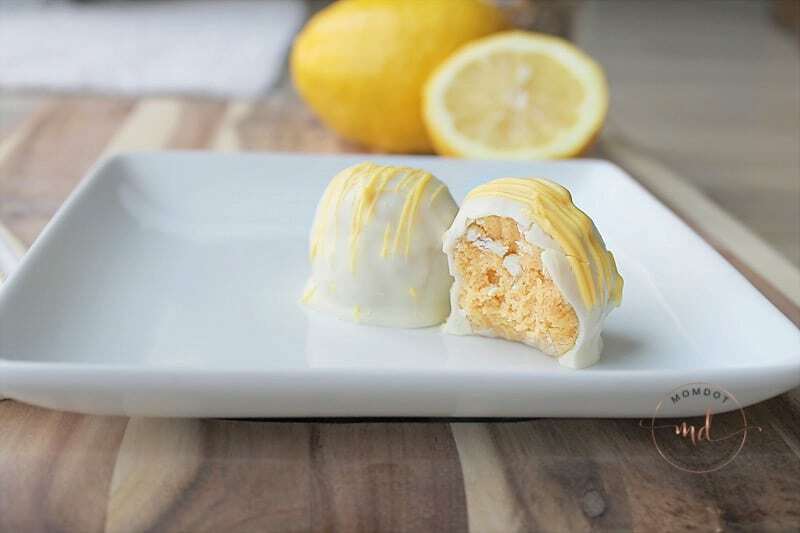 WHAT ARE LEMON OREO TRUFFLES? There is something about Spring that screams bright, light, and yellow to me. 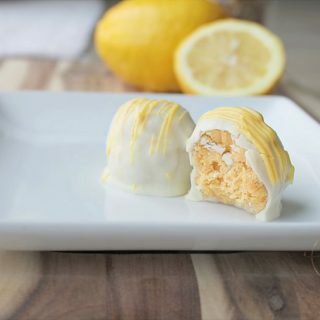 While walking past an end cap at Target, I noticed a yellow package of Lemon Oreos, and got an idea: I’ll make Lemon Oreo Truffles. They’re bright, and yellow, and have the perfect light lemony taste. They’re a perfect Spring treat! Delicious, sure, but oh, so easy to make. Only THREE ingredients! Three. That’s it! You could reduce the fat by using a Fat Free or 1/3 less fat Cream Cheese, it won’t change the consistency. You’r choice. Since I’m not thinking “health” when I pop one of these bad boys into my mouth, I’m OK using Regular Fat. Besides, if you eat them all in one sitting, you only need worry about calories once! If you have a food processor, it would make this step much faster. Since I do not, Ziploc bag it is. 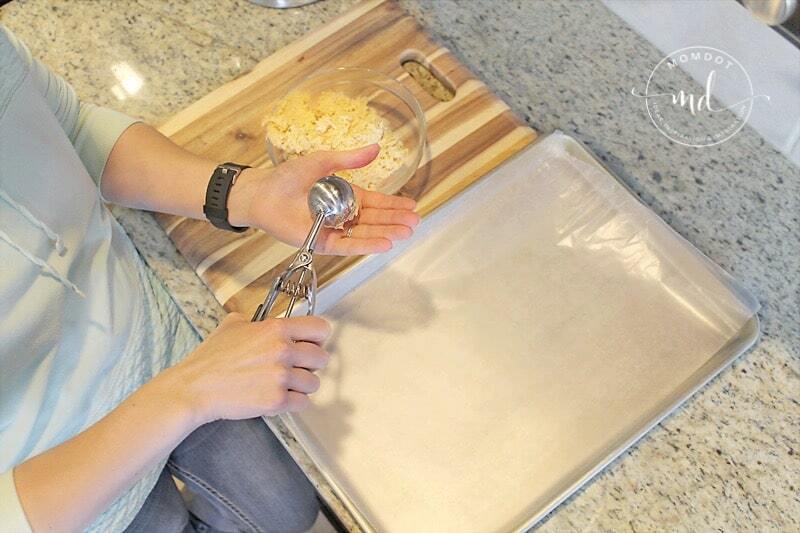 Crush the golden cookies into a crumbly powder. 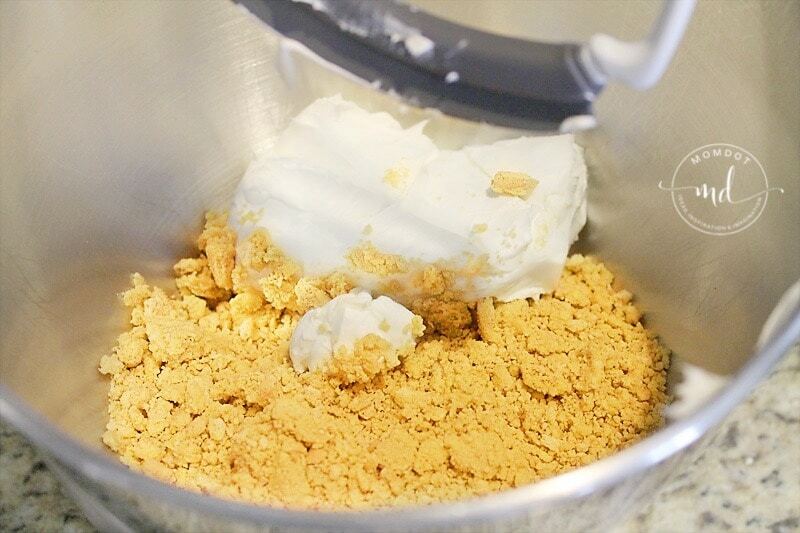 It doesn’t have to look like a Hawaiian sandy beach, but the mixture should be finely coarse. 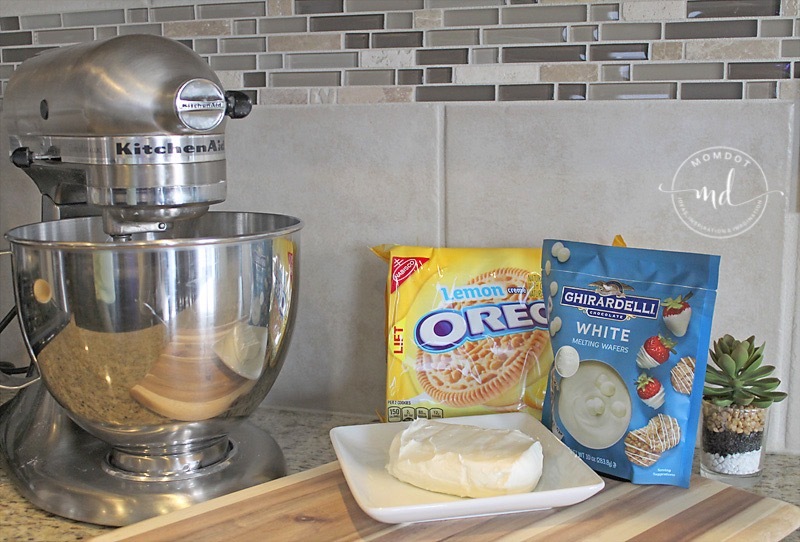 Combine your coarsely crushed Lemon Oreos and 8 ounces Cream Cheese. Mix well. Once mixed, you’re half-way there. Refrigerate for about 15-20 minutes, until hardened. Tip: Having the mixture cold helps to 1) make the mixture less likely to stick to your hands when forming the balls, and 2) quickly start hardening the chocolate during that step. With the mixture in the fridge, start preparing your Baking Chocolate. I have tried a few different ways to melt the chocolate: Microwave, Double Boiler, or simply a pan on the stove over low heat. Either works well. Use what method you feel most comfortable with, or what tools you have at your disposal. For these pictures, I used a Tablespoon cookie form. Any size will do, since these are a no-bake dessert. 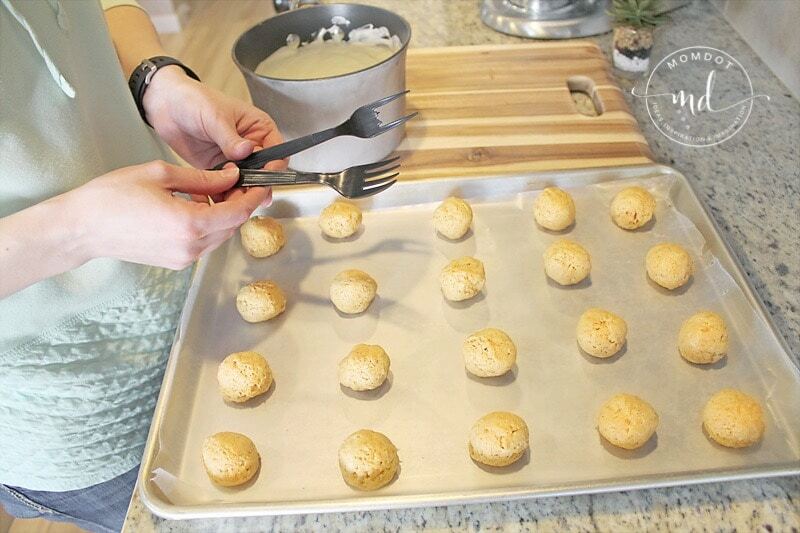 Roll them around, forming a bite-size ball. 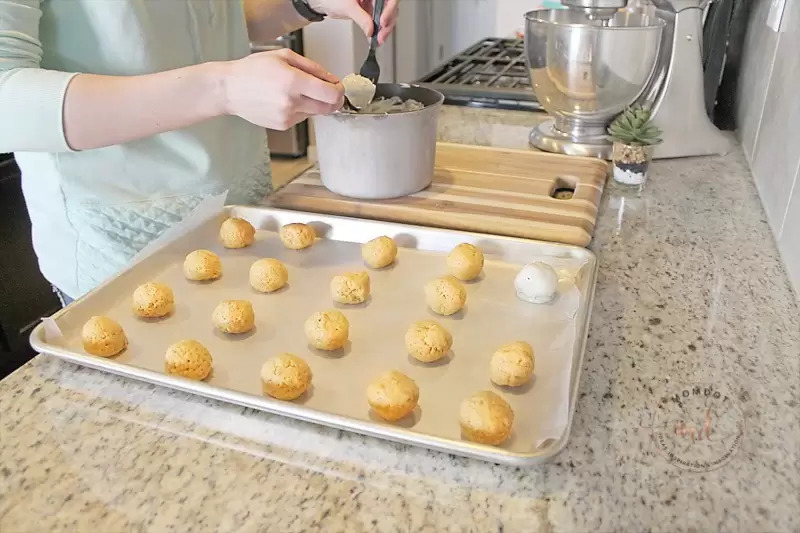 With the Baking Chocolate melted, you are now ready to cover your truffles! If you have two plastic forks, that is my recommendation. Otherwise, two spoons could also work. Pictured above, you’ll see that one of the forks has two center prongs missing. This allows you to let some of the excess chocolate drip off before placing them on the wax paper. This step is not “necessary,” but it does make the truffles look a little nicer, since there isn’t a bunch of excess chocolate pooling around the base of each truffle. Drop each truffle into the chocolate, swirl it around until completely covered. 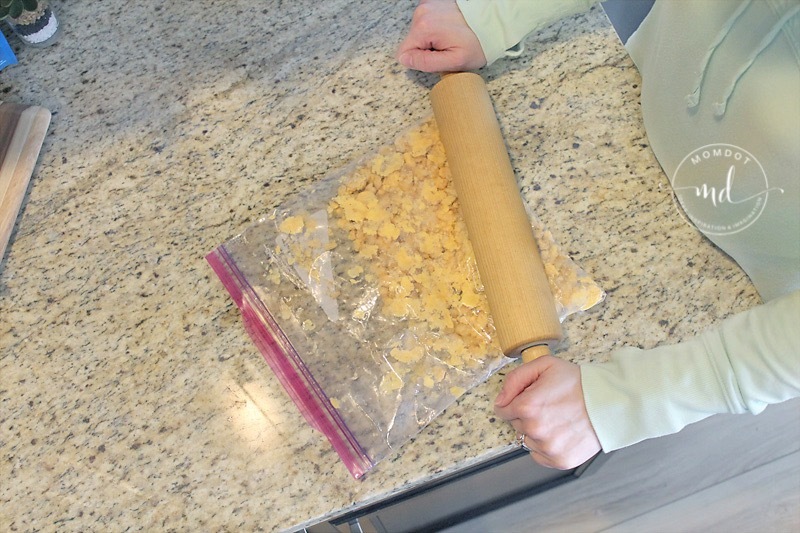 Allow to rest on the “broken” fork for a second or two, and place back on the wax paper. Helpful Hint: You’ll want to work kind of fast for this step. With each passing minute, the chocolate will start to set. If you notice that the chocolate is getting a bit too stiff, go ahead and put the truffles in the fridge while you reheat the chocolate until it is a smooth, creamy consistency again. If you work fast enough, this should not be needed. After I am done adorning my truffles in wisps of color and fun magic, I place the cookie sheet in the fridge to set the chocolate for the last time. Once set, you can arrange the truffles in a container without worrying about smudging or ruining the chocolate. Because they have Cream Cheese, you’ll want to store them in the fridge. If they can make it that long! Aren’t they beautiful? The perfect Spring treat, if I do say so myself! Just looking at them has my mouth watering. 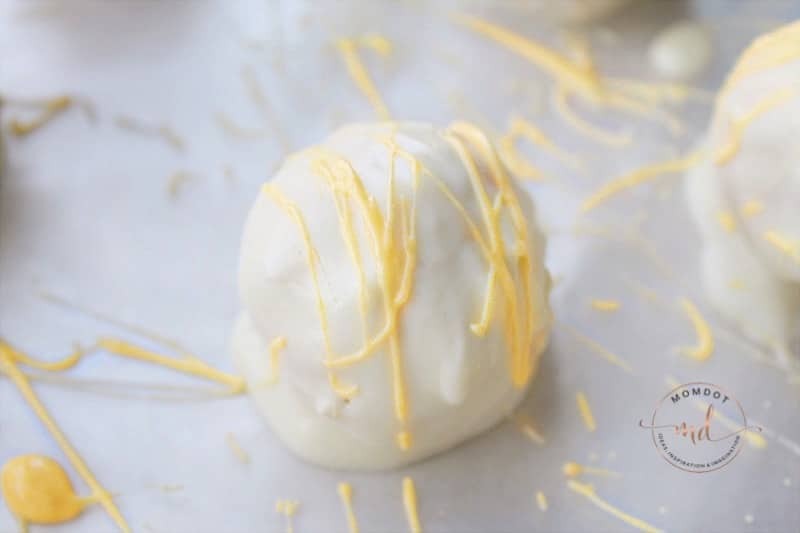 These Lemon Oreo Truffles are the perfect blend of tart and sweet, perfect for any occasion. Yum! p.s. They’re the perfect size to pop one in your mouth while your back is turned from the kiddos. They’ll never know, you’ll never tell. They make you a ninja, I tell you! 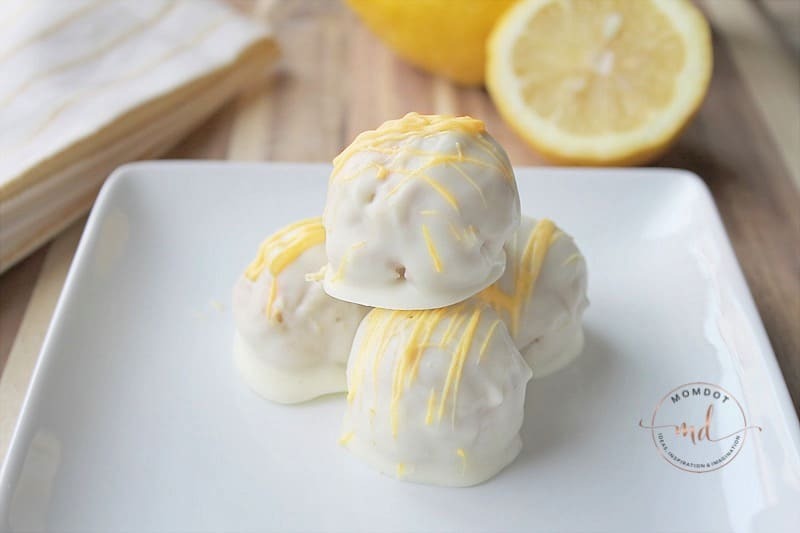 Only three ingredients to make these Lemon treats! They're the perfect Spring treat, easy to make, easy to enjoy. 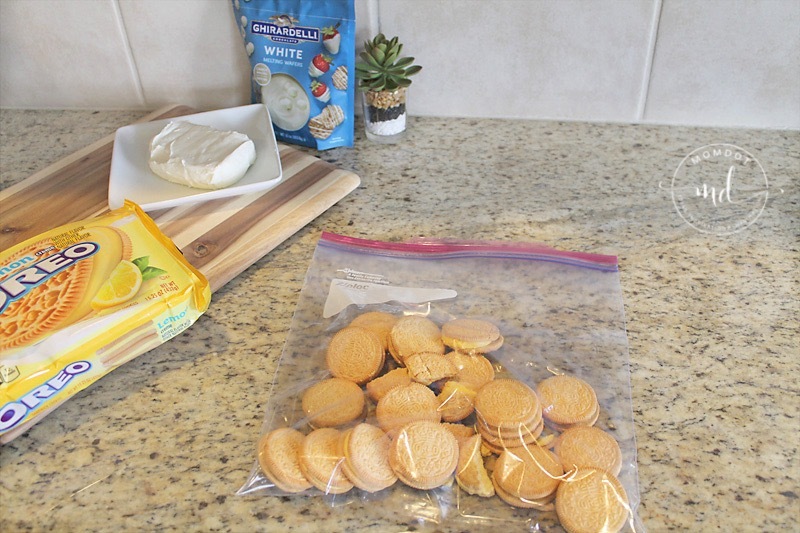 Crush 1 package Lemon Oreos into a coarse powder. Combine crushed Oreos and 8 ounces Cream Cheese. Mix well. Cool in fridge for 15-20 minutes. 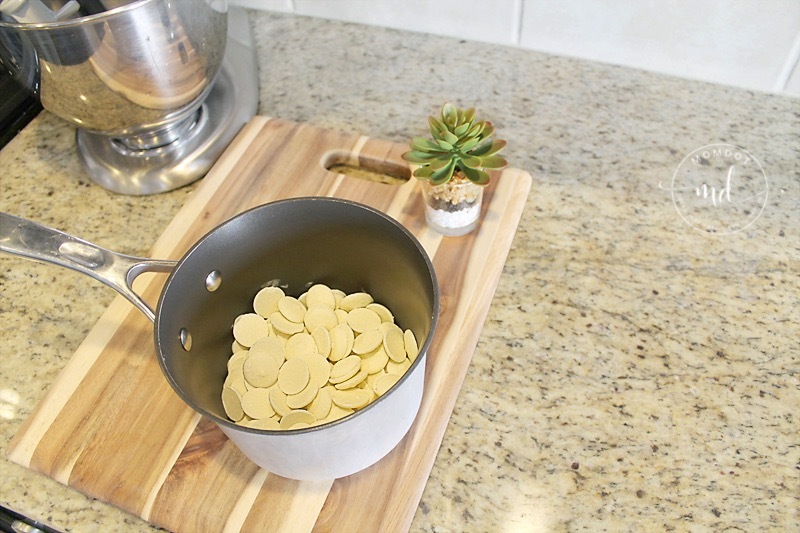 While cooling, melt your White Baking Chocolate in either a microwave, double boiler, or sauce pan on low heat. Form mixture into bite-size balls. Drop balls into melted chocolate, swirling around until covered. Using a fork with center prongs removed or a spoon, remove truffle from chocolate, allowing excess chocolate to slough off. 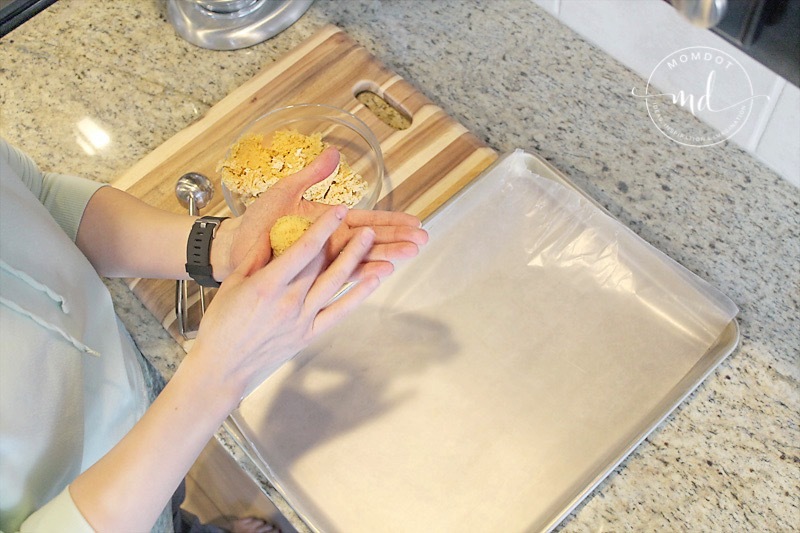 Place truffle on wax-covered cookie sheet. Garnish with tinted chocolate, if desired. Refrigerate for 15-20 minutes, allowing chocolate to harden and set. 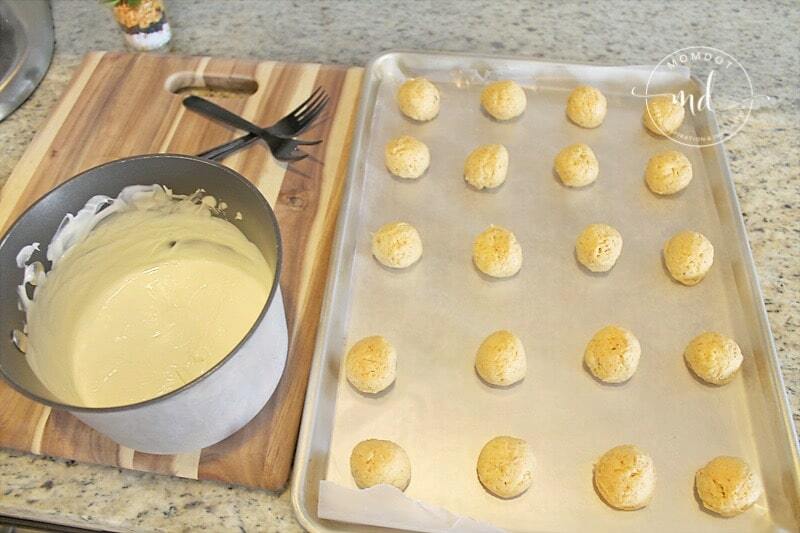 Store Lemon Oreo Truffles in the fridge, since they contain Cream Cheese. Fast, easy and delicious!!! I can’t belive something ASAP yummy was made with only 3 ingredients. Thanks, Mom dot! I am so glad you made them! Didn’t you love the fresh flavors? Thanks for letting me know you made some! These were so yummy!! Too yummy! I couldn’t stop at just one. I love making recipes that don’t take too long and this one was less than 30 minutes and they taste divine. I am so glad you tried them– they’re so easy, huh?! Thank you for commenting!